Gifts by Ronald, a new locally operated and family owned business, is partnering with Matt Talbot Kitchen & Outreach to help alleviate hunger and homelessness in the Lincoln community. Located at 852 North 70th Street in Lincoln, Gifts by Ronald, offers unique gifts from hand made figurines to all types of collectables for any home decor. 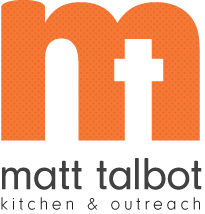 When you make a purchase at Gifts by Ronald, a portion of the sale will be donated to Matt Talbot Kitchen & Outreach. Also at Gifts by Ronald, you can purchase a "Much More than Soup" cookbook. Be sure to visit Gifts by Ronald when looking for that special gift or a treat for you!